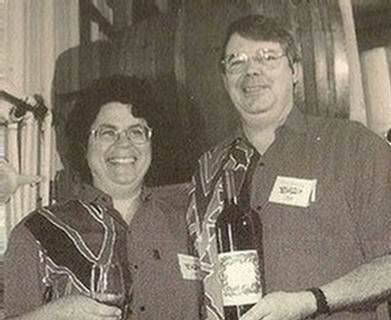 Suzy and Jim Gullett started Vino Noceto in 1987. Since then, Vino Noceto has become one of the most important wineries in the history of California Sangiovese. Come meet the Nutty Noceto family and crew! 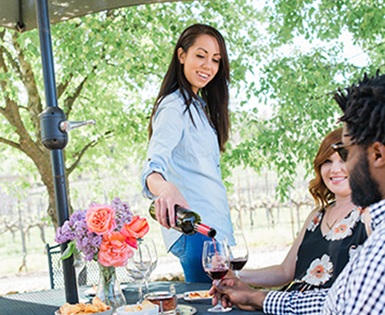 Many of Vino Noceto's employees are Amador County locals, known for the friendly spirit and extensive wine knowledge. 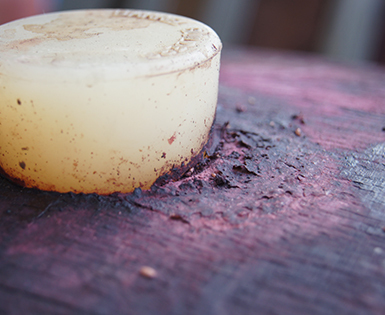 Follow our wine's journey from the farm to the glass. Vino Noceto grows and makes award-winning wines that beg to accompany food - from Thai to Italian to Barbecue. Vino Noceto regularly donates wine and time to the local community, ensuring that we contribute to the people, businesses, and organizations around us that make our livelihood possible. Jim is currently president of the Amador County Business Council, Treasurer of the Amador County Wine Grape Grower's Association, and serves on the Board of the Amador Council of Tourism. He is past president of the Plymouth-Foothills Rotary Club and the Family Winemakers of California. Suzy served for many years as Treasurer of Amador Vintners Association, is a past president of Diablo Valley Hadassah, and spent many years donating her time to numerous charitable organizations. community outreach efforts--starting with 'the valley' and extending as far as humanly possible beginning today and indefinitely. If you are interested in requesting a donation of wine, private tours, or our presence at a wine pouring event, please contact us at donations@noceto.com. We happily consider all donation requests, although our resources are usually regionally limited.